Variable Interest Rates or Fixed Interest Rates? The Best Student Loan Refinance Rates! 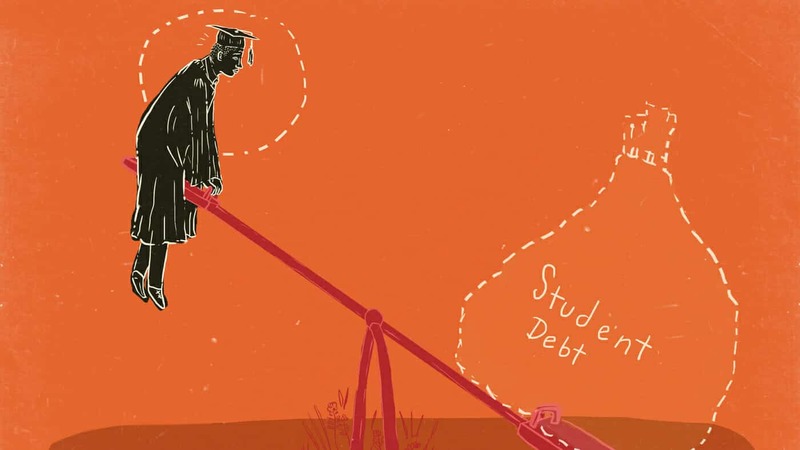 If you’re struggling with student loan debt, refinancing can help. We’ll show you where to get the best refinance rates on your student loans. If you have student loan debt, at least you can take some small amount of comfort in the fact that you’re far from alone. Lots of others are in the same boat, and that boat is the Titanic. Student loan debt is now the second highest consumer debt category – behind only mortgage debt – and higher than both credit cards and auto loans. According to Make Lemonade, there are more than 44 million borrowers who collectively owe $1.5 trillion in student loan debt in the U.S. alone. The average student in the Class of 2016 has $37,172 in student loan debt. What’s worse than that? Getting off the Titanic and onto the Hindenburg. Every year more than one million borrowers default on their student loans. By 2023, which sounds far away but is only five short years from this writing, an astonishing 40% of borrowers are projected to be in default. If you couldn’t pay off your credit cards or your mortgage, you might consider bankruptcy as a solution to your problem. But that solution isn’t available for those drowning in student loan debt. Neither federal nor private loans can be discharged during bankruptcy. Student loans can be discharged if the borrower proves the loans cause “undue hardship” but the bar is so high to meet that criteria that it’s just not an option for the vast majority of borrowers. When people are crippled by this staggering amount of debt, it slows down process on all other financial goals. 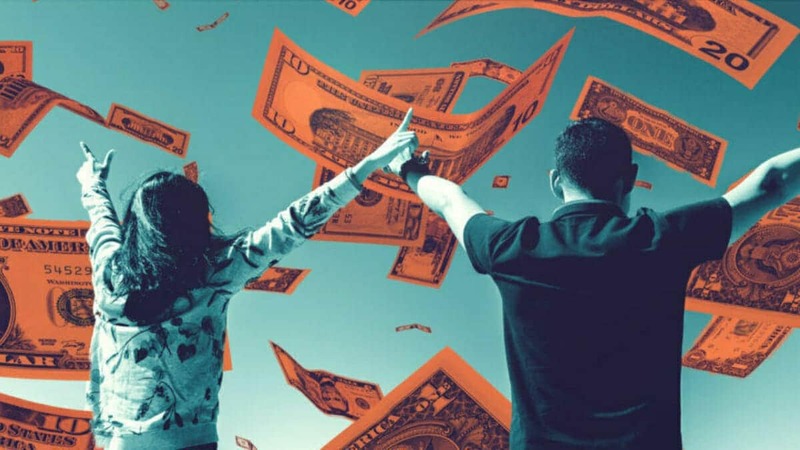 Things, like building an emergency fund, buying a home, saving for retirement or even living on your own without parents or roommates, is out of reach of many people. Bankruptcy is out, and we want you to be able to meet all of your financial goals without being hampered by education loan debt so we’ll show you how to pay off student loans and save some money in the process. When you borrow money for a home, a car, or to finance your education, that borrowed money has an interest rate. The rate is what you agree to pay to borrow that money. Here is a simple example. You borrow $100 with a rate of 5%. That means you owe the lender $105. But what if you could get a new loan with a rate of 3%? You use the new loan to pay off the first and save $2 in interest. When you do a student loan refinance it’s a little more complicated than this, and we’re talking about much more significant numbers. But you see the gist, when you refinance your student loan amount at a lower interest rate, you save money. For those with federal student loans, be aware that if you refinance your student loans, they will no longer be eligible for federal student loan forgiveness programs or repayment plans. You will also not have access to income-based repayment terms or pay as you earn repayment options. Many refinance lenders have some programs to help those who find themselves in difficulty, but borrowers won’t have as many options as they have under the federal programs. If you find a lender with lower refinance rates than the rate you have on your current loan amount, loan refinancing is something to consider. Even a loan with an interest rate just one point lower than your current rate can save you thousands of dollars over time. If you have several loans across multiple lenders, refinancing can simplify your life. You’ll have a single loan through a single lender. Student loan refinancing with a reputable lender doesn’t cost anything. If you’re looking for a lender, avoid those that charge fees for things like origination or applying. There are also no prepayment penalties for paying off a loan early. We’ve talked a lot about the importance of a good credit history and refinancing your student education loans is one of the reasons why. The better your score, the better rate you’ll be offered. Most lenders what to see a score of at least 680 which puts your score in the “Fair” category. If you’re not there, work on boosting your credit score before you apply. Remember, the whole point of loan refinancing is to get a better interest rate so you want to be in the best position you can before pulling the trigger. If you don’t know what your score is, you can check it and your credit report for free at Credit Karma. 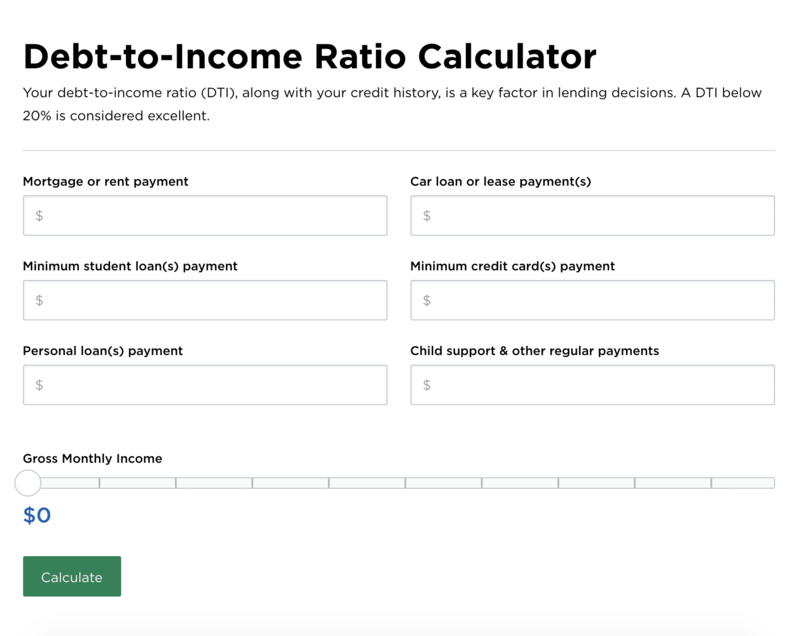 Lenders will want to know your debt to income ratio which is a number that shows you much of your income goes to paying off debt. Each lender has different DTI requirements but the lower the number, the better. A DTI below 40 is something to shoot for. To get the number, divide all of your monthly debt payments by your gross monthly income. You don’t have to do the math yourself, you can use an online calculator. If your number is above 40%, work on bringing it down by paying off or at least paying down your most significant source of non-student loan debt. For most people that’s probably credit card debt. Luckily, we’ve got you covered there! You can also lower your number by increasing your income. Lenders generally aren’t going to consider side hustle income so you’ll have to try for a raise instead. Lenders will also want to see proof of steady employment and adequate income. If you aren’t making enough to qualify on your own, some lenders allow borrowers to use a qualified co-signer. 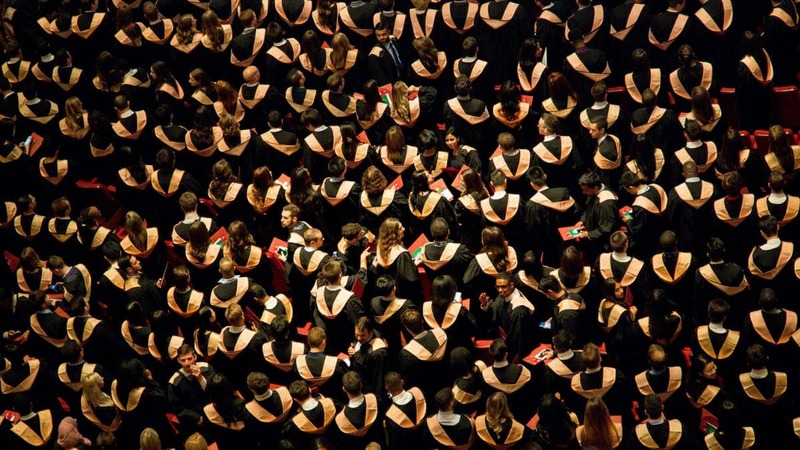 Most lenders require that you graduated. Most lenders also require that you graduated and that you be a U.S. citizen or permanent resident. There are a lot of lenders offering education loan refinancing, and that is to your advantage because they are all competing with each other for your business. The lenders were going to talk about let you check your rates and terms for free. It’s not a hard credit check so won’t affect your credit score. But what should you be looking for? When you see your offered interest rates, you’ll see two types, a variable, and a fixed rate. Variable rates can change with the market, but fixed rates remain the same for the entirety of your loan. Variable rates are seductive though because they tend to start lower than do fixed but don’t be so quick to choose the lower rate. If you have a secure, well-paying job and will be able to pay off your new loan quickly, it might be worth the gamble to take the lower, variable rate. Otherwise, the fixed rate is the safer option. You will also be asked to choose your loan term. The repayment terms offered are usually 5, 7, 10, 15, and 20-year terms. The longer the term, generally the lower your monthly payments will be, but it also makes the loan more expensive because you’re paying interest for more years. If you’re living paycheck to paycheck, you probably want to choose longer payment terms. If you’re making good money and can afford higher monthly payments, a shorter term will save you money in interest. Many lenders offer a small reduction in your interest actual rate when you pay by automatic monthly payment so look for that perk too. Some also allow for a co-signer release after meeting certain criteria so that may help persuade a reluctant parent or spouse to co-sign for you. You didn’t think we were going to make you do the work yourself, did you? Of course not! We did a little window shopping to show you where to get the best refinance rates on your loans. Each lender has their own underwriting requirements so we’ll include links where you can find all of the details. Many also offer to refinance a Parent Plus Loan if you’re a parent looking for a refinance loan. Here are our top recommendations. Types of Loans Undergraduate, graduate, private, and federal loans. Undergraduate, graduate, private, personal and federal loans. Undergraduate, graduate, private and federal loans. Specialty Offers some flexibility with loan payment schedule. They provide you with a variety of offers that fit your needs. Works with local banks and credit unions. Why We Like Them They look at a borrower's bigger financial picture. They provide options for borrowers with eligible student loans that are no longer enrolled in school. Borrowers receive a 0.25% rate reduction when they autopay loans. Some other lenders we like. Loan Terms Choose from 5, 7, 10, 15, and 20-year terms Choose from 5, 7, 10, 15, and 20-year terms Choose from 5, 7, 10, 15, and 20-year terms. Specialty Dedicated to supporting medical professionals across the healthcare field. The bank looks for borrowers with strong credit history. Helps eligible graduates find new employment. Why We Like Them Payments can be postponed for three months at a time for 12 months total with proof of economic hardship. Citizens One student loan refinancing is best for borrowers who didn't graduate or who aren't U.S. citizens. Borrowers can pause payments during periods of unemployment. You can refinance your loans more than once. There is currently no limit on how many times you can refinance student loans so you can just keep chasing the best refinance rates! It's not about how much money you make. It's about how much money you save. Each time interest drop or your credit score goes up, it’s worthwhile to check your rates with different lenders to see if you can get a better deal than you currently have. Remember, these soft credit pulls don’t impact your score. So while you might continue to be loyal to your alma mater’s football and basketball teams, there is no reason to stay loyal to your loan refinance provider! Whether you have private student loan debt or federal, consider refinancing and start saving money!